When Yogi Bear catches wind of a plan to turn Jellystone Park into a Chemical plant he sets out on a mission to stop it. Play as Yogi in this side-scrolling Action/Adventure that is fit for all ages. 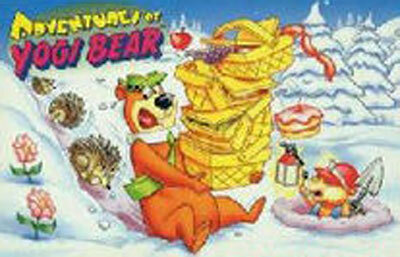 Work your way through the five park areas collecting "Pic-i-nic" baskets by bouncing on top of them. In many cases you bounce from one basket to the next raising you into the air where no "average bear" could ever go. There are a variety of enemies such as weasels and skunks. There are also some action parts where you ride a mine cart or go "beaver surfing".